“I am the leader of the house, and my kids need to know it! I can’t just keep allowing my kids to be affected by her. I mean, I keep loving her with the love of Christ, but she is blocking Him out. I’ve read Wounded Heart, and Love Must Be Tough, but she won’t take a step in a direction of healing, only in a direction of blaming. She identifies herself with her past, and it’s preventing our family from having a future! I can’t wait to get home from work so I can see the kids; it seems like she runs TO work…and now school… to get away…to feel important as if money and a title will be her solution. I want to help, but she runs to everyone but me. She even had an affair two years ago, but it only left her with more guilt baggage. We don’t see eye to eye on rules like video games for our kids. It just leaves my teenager confused, locked in his bedroom…probably playing video games. She and I haven’t been intimate in two years. I don’t want my kids to grow up seeing me as a wimpy, beaten man. I am a leader, and I want them to be. I had just met this man. His kids are 15, 10 and 8, so similar to my own, which is where the conversation on the airplane had begun. Where it went was in God’s hands. Please pray with me for him and his wife and children. As the man spoke, somehow I related to his wife. It was one of those, “It could have been me!” moments. Author John Eldridge generalizes that men want a battle to fight and a princess for whom to fight it. Like the woman above, so many women have a stronger desire to be the knight instead of his princess; or at least I did. Feeling important became the idol of my “I.” People around me suffered. Eight years into marriage, we had two boys: 4 and 1, and the smell of standstills filled the house. Chris and I didn’t “see eye-to-eye” on many parenting things. 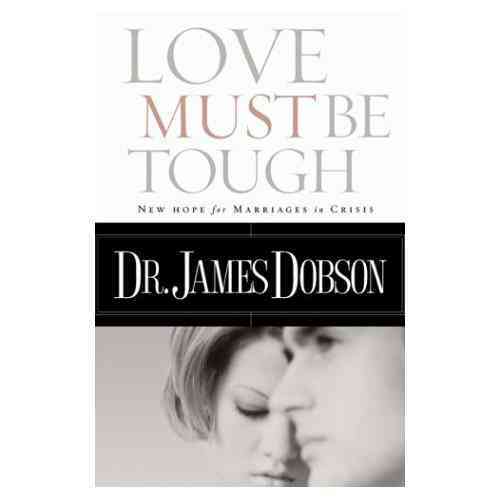 I expected disagreements in marriage, and I figured since we were both Christians, it would easily work its way out. He and I rarely fought; we simply expressed opposing ideas, and they would hang out in the air like a stench for time to dissipate. Sometimes I would resort to my tactics of manipulation, or humor, as though if I made fun of his idea, it would make him feel silly for having it. Other times, the smell just lingered, leaving unspoken conflict, silent but deadly. “Why are the kids watching TV?” He innocently asked one day. The argument would be done, but unresolved. And the familiar unsettled stench hung in the air. “We need to leave for the airport at 7,” I would say. “7:30 will be fine,” he would finish. If he innocently requested, “Let’s not spend money on anything optional right now,” I would quietly murmur that I was an adult and could decide that for myself. It could have been serious conversations like who would get the kids if something happened to us, or simple things like whether to stay for dessert at the party, and I would have an opinion that I thought warranted my strength behind it. Nit picking wife. I trusted Chris with my life, but not with rules for my children? I wanted to live happily ever after and grow old together, but as long as we were 50-50 in every decision? I wanted him to lead, as long as it went through MY approval first? I started to think of our family as if we were in a boat. 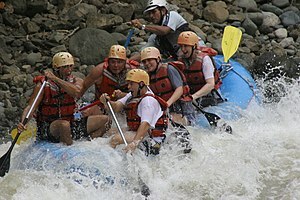 I used to LOVE white water rafting! There would be six people in a boat, but an appointed captain would yell out “left,” and all six would quickly paddle in whatever way it took to turn the boat left, to avoid the obstructing rock in the midst of the rushing rapids. In my life analogy, I decided I needed to do more rowing and less turning around to see if I agreed with Chris’s choice of “left”. I decided to start aiming for excellence on my rowing and stop analyzing whether he was excellent at his. My cell phone rang, disturbing the waiting room. “Hey, what are you doing?” Chris asked, annoying me, because in my me-world, I felt like he was checking up on me. “OK.” He said and hung up. A few minutes later my phone rang again. “Babe, I really don’t think you should do it. I just really want to look into it,” he sounded serious. The stench stayed in the air when I got home. A month later, I took 18-mos-old Nate to see a pediatric allergist. He had swelled out of recognition and almost stopped breathing at one-year-old, his first taste of milk; but now he was waking up several times a night in screaming fits, pushing me away, as if in pain. He had even lost two pounds since his 12-month-checkup. I headed to an allergist, one hour from home. I was speechlessly staring at the doctor, practically wondering if I should call Chris and tell him he had to explain to the doctor. He continued with explanations of immunizations harvested in eggs [which they don’t do anymore] and directions for the epiPen, and gave me a million cautions, but I could hardly hear anything coming from his mouth. “My husband had saved my baby’s life,” was all I could think. Well, actually, I had saved his life, right? I had left the vaccination clinic! Well, God had done it. He used my husband to lead me, just like He said He would in His Word. “Alright” I had said. My heart was beginning to follow. I truly believe that the Lord gave me a ship captain who needed help rowing. If we weren’t “seeing eye to eye,” we had to choose one set of eyes to follow, and it was the captain’s. I thank God for His wisdom. Before the change, I really think I was heading toward the tale that the “beaten” man was telling me on the plane. I wanted to feel respected more than I wanted to give respect. Chris and I didn’t see “I to I” on that. But God changed our marriage for the better, and I wish it for any woman, and her family. This entry was posted in Married Life, Personal Growth, Rooted in Faith, Sister to Sister, Uncategorized and tagged Chris Brady, Christian, God, marriage, Wife by Terri. Bookmark the permalink. I almost can’t reply for the tears clouding my vision…. Iv been praying and asking God for a direct answer for some time already. I heard it at the seminar, at church and now your letter. I believe Iv got some “alrights” to say. Thank you soooo much! ! God Bless you, Terri! Thank you for sharing this story. As I read it, my eyes filled with tears because it reminded me a lot of myself. I am not married yet, but am recently engaged to the man I have spent the last 5 1/2 years with. I had a lot of trouble getting past myself. For many years it always seemed like I argued just to argue, just to disagree with him. How could he know better than me?? Why couldn’t I trust him? What a horrible way to think. Not only did I suffer, but my entire family did. I could never be wrong and I always knew what was best for our family. I didn’t allow him to lead and hurt his esteem a lot in the process. I am so thankful that he stuck by my side and that God was able to intercede and change me. A friend introduced me to the TEAM last July and our lives have changed so much for the better. My mentor, Brenda Hatcher, has taught me so much about the importance of submission to my husband. I’m so thankful for her example and testimony. I had to start first asking God to humble me and to help me submit to Him. My life has changed drastically since I let go and let God take control of my life. I’m so grateful to have the information and association in my life to help me improve prior to becoming his bride. Every day I long to be a better person and now strive to improve. I’m not sure that we would be where we are today if I wouldn’t of changed and allowed God to have His way. In the process, Antonio has also changed and started to believe in himself again as a man. He understands his place as leader of our Hometeam and continues to strive to be better as well. Thank you for sharing your testimony and for leading by example. I will be thinking of you and your boat each time that I start to challenge him. What a great analogy. Bravo and Thank you come to mind first. Then Encore because I feel I need more. At points I think I am doing fine and I even ask “so how am I doing in the respect area and how is your love tank etc?” Then other times I know my heart is not following HIS word nor Raymond’s leadership. Thank you Terri for allowing God to lead you in this area and then being willing to share it with all of us so that together we can achieve more. This is a great article for husbands as well, although not directly brought out. If husbands are not following Christ and seeking the guidance of the Holy Spirit, they cannot effectively lead their families, and the consequences fall on them. So grateful Chris was listening and pushed. Thank you so much for sharing. I appreciate you making that distinguishing remark! It was so easy to follow Chris the more he followed the Lord! Really, I am amazed that he just kept gently loving me leading me, despite my not following. Then, when I finally made amy change, he never brought it up, or held it over me, he just kept leading. It’s like he was just grateful for the help in rowing, but he was determined to reach the finish line, whether I was helping or not. What a leader! This is absolutely an awesome reminder note. I have learned so much through your articles. Having faith in God is key. Thank you for teaching us Gods way is the only way. Thanks Terri, from a gal that used to row her own boat and now has a wonderful husband who now, is shepherding my tender heart and rowing from the front!! Thanks for sharing Terri, every time I read you or Chris’s posts I realize how blessed we are to call you two friends… Thanks for the life lessons. All I can say is ……wow…..I want to be in the boat paddling hard for my captain. Lord please help me say alright when I really want to say “But I think…..”!!!! Amen Terri…. Working together is the only way but we all learn at our own pace and God directs that path…. Amen!!! Thanks! We have a responsibility as “Captains” of your house, thanks for the reminder and for the post. Wow, thanks Terri! This really reminds me of the sobering responsibility that I have to be a conscience “captain”. I loved reading your story about Nate. What an awesome testimony of God’s will being done by so many; The man who talked to Chris at the meeting, Chris obeying the prompting of the spirit, and you trusting Chris. Thanks for your mentorship and friendship! Wow! That inspires one to take a long, hard look at oneself. I thank God that He took me by the hand so many years ago to lead me in a better way of life. I also thank Him for leading my husband and I to TEAM/LIFE for further teaching and application of the Truth. I still have much learning to do and I’m so thankful that He has brought amazing vessels,such as yourself, in my path to help me grow. That was an amazing witness. Thank you for being transparent, for in that transparency it helps others to believe that they too CAN reach higher places. I will be ever more cautious to let my “captain” lead our boat because it is right and it is the heart of my King. The story of the gentleman you described is so sad and brings tears. I will join you in prayer for him and his family. God help us all be more merciful since He has so graciously given us more mercy than we deserve. Thank you for once again being so amazingly open and transparent with us about the intimate details of your heart and life!! Your story is a true inspiration, and a definite marker of God’s blessings on our obedience, no matter how big or small. I am so glad that I was sent this blog, by my amazing up line, Rayleene MacNamara. I have always wondered how the leading Ladies seem to make, following, look so effortless. I am glad that as a woman with a strong personality, I am not alone with having to learn how to follow. I am beginning to see that by following you are helping your husband lead your family to greatness. Thank you for your amazing example. Thanks for your comments! One of my favorite Orrin Woodward quotes (said from stage to a crowd – not just to ladies -) is “If you think you are too big to follow someone, then you are too small to lead.” Wow! I guess it’s hard for all of us to find our role in the boats where God has put us! Thanks for commenting! I had been that wife, the one who contradicted her husband and abandoned him to row the ship himself. I ran away towards work and a title and it took finding people like you and the rest of the PC Ladies to bring me back where I should have been all along, rowing right behind him, and making sure I was on the side he needed me to be. I don’t know if we would still be married today, if we had not been introduced to the LIFE Team materials. Thanks Terri, you are Amazing. I think that I am the nail, and this post hit me square on the head! And went straight through my heart. God has been showing me that this is an area (submission… and without credit) in which I’ve been deceiving myself recently (thought my husband could probably present evidence of it existing for the whole of our marriage…). Like Laurie jokes, I was very good at submission when my husband did what I wanted, what I thought was best! Thank you for so amazingly sharing your heart and letting God use your stories to help others change. My first actions steps: 1) Pray!, 2) Say ‘alright’ (and smile), 3) Serve my husband. We’ll start there. Thanks for your leadership and being a great example of a Godly woman! Wow. I love how you added “without credit.” That was (and if I stop deceiving myself, it still is)an issue that went right along with the boat-rowing, didn’t it?! When the boat crosses the finish line with all of the passengers in tact, we will celebrate! You and I will celebrate that it doesn’t matter who yelled “left!” to get there, but just that our team achieved our goal! As John Wooden says, “It’s amazing how much can be accomplished when no one cares who gets the credit.” As you said, that really applies to this marriage team too! Ooooh, without credit. Man that’s tough! Right on! Thanks for putting a powerful lesson into the perspective of real life. Terri! What an impactful article! Gives me chills! So many lessons to be learned. I am forever grateful you share these stories with us!!! Thank you! Fantastic post Terri! You are such a gifted writer. Thank you for the transparency in your marriage. My favorite CD by you used to be the butterflies or buffaloes one and I always related to you in that I am a definite buffalo. I don’t know what it will be like to be married someday being that everything I have done up to this point has been under my own direction and decision making and my control. I know it will be difficult to pass that torch to my future husband but I am willing to do whatever it takes to have a marriage that emulates yours and Chris’s. God will be working overtime when that day comes because I know I will be humbly turning to Him when the buffalo in my wants to do it all. But I am so looking forward to that day when I can start to apply what I am learning about marriage from you and all the incredible leading ladies in the Team. Your relationship is inspiring and encouraging for me. Thank you! I just finished reading a book about George and Patsy (Martha) Washington. Patsy was a widow when she met George, and she was extremely wealthy. It was interesting to me that even though she married a man “much less experienced” than herself, she followed this Biblical principle, allowing George to call the shots. (Aside: In most areas she followed him, but apparently, she had difficulty following him in raising her children from her first marriage.) No wonder he was such a great leader: he had a great crew in his house! LOL! Seriously, as you achieve levels of success and Mr. Right comes along, you will be fine, since God is your Captain now and always. Thank you so much for sharing. I had alot to learn because we were on they crazy cycle of rowing in circles because I had a hard time wanting my husband to lead. Submission requires trust, mostly in the the Lord and then trust in the man I married. I praise the Lord that He showed me the role in marriage that I need to take. I read a book called “Love and Respect” and God used it mightly in my life. Thank you, Terri, for being so transparent and sharing. I thank the Lord how He is allowing you and your family to be in our lives and the example you give to us. Thank you for the great reminder to let our husbands lead! Hey, ladies, this is a man’s perspective on this. I really hope you aren’t suggesting that a wife defer to her husband in everything. My wife and I have a very give-and-take relationship and it’s not a “meeting 50-50” all the time. Sometimes she’s right, sometime’s I’m right, and the person who is right is right. There’s no shame in me as a man being wrong. My wife and I talk things out, we have discussions, we reason together. Paul reasoned (Acts 18:4) and had no shame in it. It sounds like you view minor differences in viewpoint as chaotic disagreements. I think you are making a straw man out of both you and your husband; you portray him as an untouchable figure who should never be questioned. I have no doubt that he is a good man, a very good man, but he’s got to be wrong some times. I think the most tragic straw man is one you create of yourself. You portray yourself as a wicked, untrusting idiot which I gravely doubt you are. You don’t need to just fold at every suggestion of your husband’s, and you must realize that you have valid points and should express yourself. I talked with my wife about your article and we were both disturbed at the line “Sometimes I would resort to my tactics of manipulation, or humor, as though if I made fun of his idea, it would make him feel silly for having it. Other times, the smell just lingered, leaving unspoken conflict, silent but deadly.” Why do you need to manipulate or belittle your husband? I think your communication skills need some serious work if your automatic response to conflict is manipulation and mockery, or just resort to deadly, unspoken conflict. Serious, serious work. I’m not a psychiatrist, but I am a happily married man. Improved communication, not automatic submission, is the key to a successful relationship. You are blessed indeed to have a great marriage – as am I! And yes, you are right, I need some “serious, serious work”! Daily! and I am so thankful for the Holy Spirit doing just that! You are also correct that God did not create a woman to be a doormat, or a “yes girl” with no opinion. With teamwork correctly in place, I have often respectfully brought information to our boat that changes its direction, as I run it through my God-appointed captain’s mind. So in line with your words, yes, we are deciding “together.” But incorrectly, I used to bring my opinion to every turn of the boat, and that is where I changed the most. That is where I needed to submit. Those little areas needed an “alright” from me, so my words were more potent in the bigger areas if they needed to be. (See my articles on homeschooling, for eg.) But by submitting in the little areas, it allowed my captain to have enough leadership experience that when the big rapids came (restaurant ownership, lawsuits and my brain tumor), he wasn’t looking at me in a “What are we going to do now? !” way, but he navigated the waters beautifully, knowing I was in his boat rowing. And yes, Chris often asks my opinion, but he knows ultimately, according to Ephesians 5, he is responsible for the direction our family’s boat. I am so thankful to be in it with him! Thank you, Terri, for another deeply meaningful, well-written article! You have such a way with words, Terri! Thank you for sharing all of this. It has such a big impact on our family, each time, I can learn from you!